I’m not sure how it happened, but I managed to raise children who really enjoy artistic exploration. Not just classic art, but all the fine arts and even modern art. In fact, maybe especially modern art. Wherever we travel, we try to visit museums…the Centre Pompidou…the Los Angeles County Museum of Art…the Reina Sofia in Madrid…the Seattle Art Museum, and many more. Because of my children’s taste in art, I have been more interested in finding unique examples. Whether it’s street art, commissioned art in a downtown park, or even a local school’s art fair, there’s something really cool about finding it and enjoying it! I had heard about a very unique art installation on the UCSD campus, called “Fallen Star”. Photos I’d seen made me want to see it in person, so I googled to find information and visiting hours. Here’s the link. There’s even a video of the ‘house’ being placed on top of the Jacobs engineering building. So this is why I came to UCSD. What I didn’t know is that ‘Fallen Star’ is just one in an entire collection of art created from a cooperation between the UCSD Department of Visual Arts and the Stuart Foundation. In an agreement made in 1982, the entire campus may be considered as sites for commissioned sculpture. It’s not a typical art collection, as the “pieces” range from sculptures and gardens to terraces and trees, to walkways and more. At the entrance kiosk for UCSD, I was given a large folding map of the entire campus with some explanation of where the Stuart Collection pieces could be found. It wasn’t until I got to the University Art Gallery that I learned there’s a brochure just for the Stuart Collection with detailed information about each piece and its creator. Do Ho Suh’s ‘Fallen Star’ was installed in 2012. It is his attempt to answer the question, “What is home? A place? An idea? A sentiment? A memory?” It appears as if a small cottage has been picked up and “landed” atop the Jacobs Hall. Walking inside the home is very disorienting, causing a sense of dislocation. It represents the difficulty with which we change homes or culture. Visiting hours for ‘Fallen Star’ are Tuesdays and Thursdays, from 11:00 am to 2:00 pm. The Snake Path, created by Alexis Smith, is a 560 ft long, 10 ft wide footpath in the form of a serpent. It wraps “around” the sidewalk and encircles a garden as it approaches the Geisel Library. It passes a marble bench and pomegranate tree, representing Eden, and a granite book carved with a quote from Milton’s Paradise Lost. The implication is that the way to overcome the conflict between innocence and knowledge might be found in the university’s repository of knowledge (the library). The library itself is a stunning architectural structure, with mirrored panels as you approach the main entrance and a bridge, symbolizing a rise from the mundane as you seek more knowledge. I wandered away from the library towards the hub of campus: the Price Center along with the bookstore, student services center, and outdoor plaza. Apparently there is something from the Stuart Collection inside the Price Center, but I never saw it. I was much more intrigued with a cascading set of waterways that appeared as a kind of stream meandering through the open space. And the large Triton mascot sculpture on the south stairs! I’d be surprised if you didn’t recognize this sculpture as the work of Niki de Saint Phalle. She has work displayed all over the United States, as well as Europe, and she lived and worked in La Jolla from 1992 until her death in 2002. You can see more of her work at the San Diego Waterfront Park, Kit Carson Park in Escondido, The Escondido Performing Arts Center, and Balboa Park in San Diego. This piece is known as the Sun God and it was her first outdoor commission in America. I guess it’s no surprise that a university would also have an art gallery, and UCSD is no exception. The day I visited, there was an exhibit of art created by computers. It was a brightly colored and very intriguing exhibit. After finding the Stuart Collection brochure at the Gallery, I was better equipped to find more of the collection, so I headed off trying to find an installation called ‘Terrace’. This was was very challenging to find. And no student I stopped knew anything about it. Turns out, it’s not really perceived by students as art. Just a patio area between two buildings. Still, the grassy slope leading to the Terrace, and the pattern work of bricks was very attractive. It was designed by Jackie Ferrara, who worked with architects and landscape artists to better merge the Terrace with the Cellular and Molecular Medicine Facility. I love to look for lines, patterns and shadows in arches, walkways, etc. There is a lot to see on the UCSD campus, with a pleasing balance of beauty and functionality. Near the School of Medicine is the sculpture/fountain entitled ‘Standing’, by Kiki Smith. Both poignant and perhaps a bit disturbing, it represents both human strength and frailty and the power and limitations of medicine. Water flows from the hands as a symbol of life. There’s a funny story about how I found this creation. I had a photo I kept showing to students when I thought I was close to where it was supposed to be. Finally, an employee pointed between two buildings, and told me to follow the sidewalk to the very end and I would see the Bear. I had no idea what the size of this sculpture was, and from the employee’s description, I thought it might be hard to spot. As soon as I approached the buildings and the sidewalk, I couldn’t miss it! It was HUGE (23.5 feet tall and a weight of 180 tons)! It conjures up mixed emotions. It’s very large and it’s made of granite stones, so it seems intimidating, but then there’s a sense of its cuteness, too. Like a child might like to cuddle with it during nap time. A very large child! It was created by Tim Hawkinson. This piece, by Elizabeth Murray, is in a grove of Eucalyptus trees near the edge of campus and directly across from the Theatre District. I’d actually seen it before, from the road, but didn’t know what it was. Elizabeth Murray likes to create whimsical pieces that are exaggerated or even disproportionately stretched out of shape. The Red Shoe makes me think of childhood playgrounds and the story of the Little Old Woman Who Lived in a Shoe! Even the grove in which the Red Shoe is located feels a little mysterious. Right across from the Red Shoe eucalyptus grove is the Theatre District. If you walk behind the theatre buildings, you will find Ian’s Garden and the La Jolla Vista View. Ian’s Garden is a rather obscure little garden area with a dirt path winding through it. There are plants as well as man-made garden “creations” — old rusted stands of some kind, arches, and more. It looks like someone had fun re-purposing items from a junkyard. In ‘La Jolla Vista View’, William Wegman etched the view of La Jolla as seen in 1988 from this scenic overlook. You might be more familiar with Wegman’s photographs of his weimaraners in various costumes and sets, but this overlook display also has elements of humor in it. He included in his “sketch” items that were temporary — a flock of birds or a construction site. And as you look at the view now, you will notice that many prominent buildings in the La Jolla skyline were not even there when Wegman created this exhibit. It was now time to book it for the parking garage! My two hours were nearly up. I didn’t get to see everything in the Stuart Collection, but after picking up the car, I was able to drive by one more I hadn’t seen; it looked something like a modern-day Stonehenge, the ‘La Jolla Project’, created by Richard Fleischner. I also enjoyed a series of artistic floral panels that lined the sidewalk to the theater. And as I drove away from the campus on La Jolla Shores Drive, I saw this incredible view! And how is this not also art? I’m pretty sure that the location of UCSD and the beauty that surrounds the campus, in both natural and man-made views, serves to add to the inspiration and positive experience of the students and faculty — and anyone who visits. I might have started out just seeking a glimpse of the ‘Fallen Star’, but my tour ended with a much richer appreciation of many different art forms. I just learned there’s an app you can download to your iOS phone with all the information about the Stuart Collection. It’s a compilation of short videos about each of the pieces in the collection, and it can act as a complete self-guided tour. I walked a lot to cover all that I included in this article. I suggest bringing a water bottle, perhaps a lunch or money for food, and wearing good walking shoes. The campus has many hills, stairs, and uneven surfaces. It might be helpful to know there is a bicycle shop on campus where you can rent a bicycle by the day to ease your artistic adventure! At Campus Bike & Skate, at the Student Center. You might also enjoy visiting the Visual Arts Graduate Gallery in the Visual Arts Facility. All art exhibits on campus are free of charge. The only thing I spent money on was my parking fee of $4.00. Thanks for this very informative post. I’ve been on campus several times (mostly for music and theater) and had seen some of the pieces, but definitely not all of them. Glad to know there’s a brochure to help. We will definitely need to use this as a weekend stroll destination! Glad you found it helpful. I just learned there’s an app you can download with all the information about the Stuart Collection (if you have an iOS phone). You can download it from http://stuartcollection.ucsd.edu/. I’m going to go back and add it to the post! Note: the Fallen Star exhibit is not open on weekends, only Tuesdays and Thursdays, from 11:00 am to 2:00 pm. 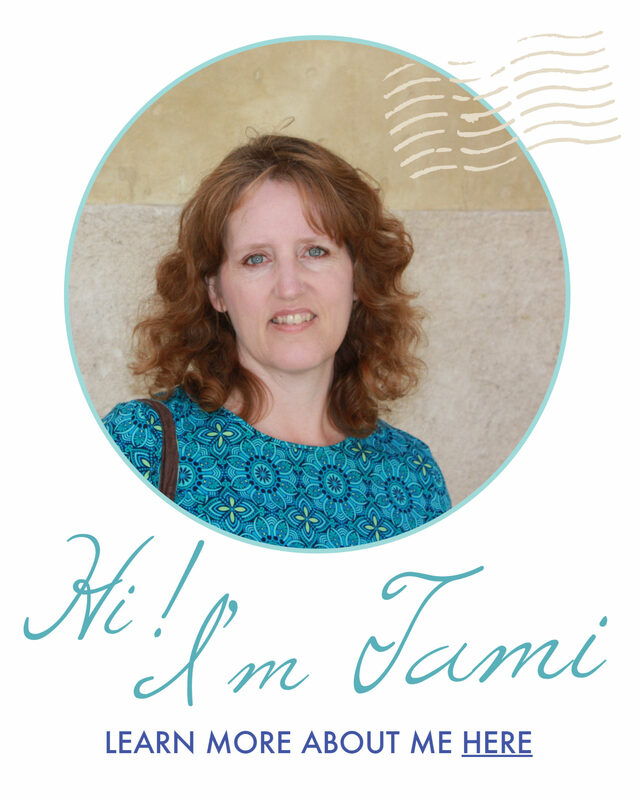 This was very interesting Tami. Thanks for sharing. 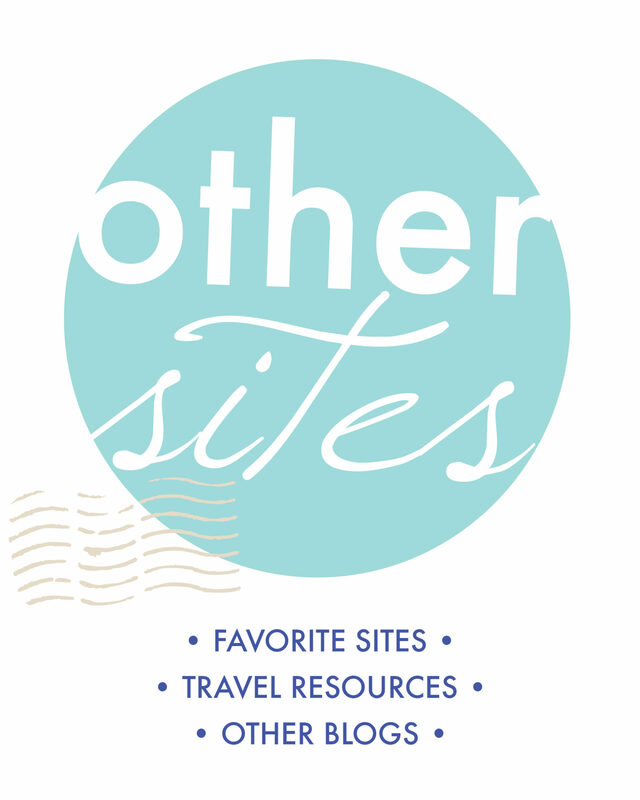 We’ll have to check out these interesting sites. Funny! That’s what I thought, too! San Diego is at the top of my U.S. Bucket List. I’ll keep UCSD in mind when I’m there, as I love art. Such an interesting and creative post. Would have never considered a visit to UCSD but it is certainly a worthy destination for appreciating art and for exploring the outdoors while you’re there. You did a great job of describing what we would find there plus you added some helpful tips. Really enjoyed the read. I had no idea that this was in San Diego! I just love the concept behind it and your words in relation to home and cultural changes. This is really neat that you can actually go inside the house, I was not expecting that! Wow, this is incredibly cool! I never thought about how many college campuses out there must have great museums and art installations. I visit SD at least once a year, this is most definitely going on the list for the next trip. My photographer husband will love it! So fun that this is all on the UCSD campus, right in our own backyard and I never knew it! We’ve seen one or two of these pieces independently before, but I love how you put an entire tour together. I will definitely take the kids for this art walk very soon. It is wonderful to see a vibrant art world that people can enjoy as part of their day to day lives. Thank you for showing us around!